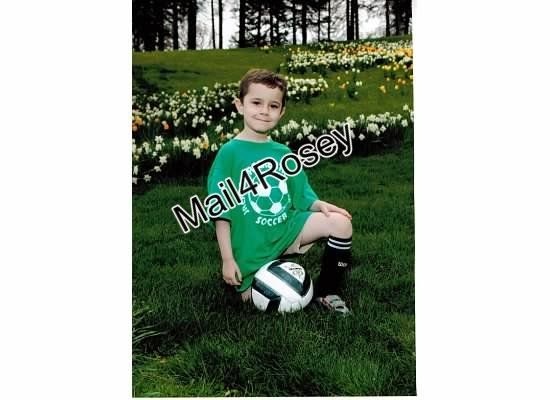 Mail4Rosey: PearUp.com and #RitzBitsTeams Can Help Sponsor Your Team! PearUp.com and #RitzBitsTeams Can Help Sponsor Your Team! Disclosure: This is a compensated post brought to you by Global Influence. Pear cares about kids! With their very simple way to sponsor sports teams, they are blazing the path for innovative social media sponsorship that is far easier (and safer!) than carrying boxes of candy (or whatever) to sell face-to-face or door-to-door. Their method is far more convenient too! In our house, soccer is a big deal...and although my son has been in T-Ball this year and loved it, it is the soccer he is looking forward to returning to when school starts. or a real game, the benefits derived from soccer are plentiful and legit. The kids on the team learn not only rules, skills, and the value of sportsmanship, but they also learn how to work together, how to stick to a commitment, and the importance of being a part of a team. They also get to make new friends. When money is the one thing thwarting the progress of a team, Pear can help! PearUp.com is a (totally free!) great social media resource to help match local non-school affiliated sports teams, like our favorite (soccer), with local and national businesses who want to sponsor them. This kind of concept is brilliant and could eliminate the need for traditional fundraising efforts entirely! Participation is easy. Simply go to the website and select the sponsorship award type you are looking to find. For example, if you wanted to find a sponsor for clothing (t-shirts, jerseys, etc. ), you would click on the apparel link and then select the perfect sponsor for your team's apparel wants or needs. Or for another example, you could click on the league/team fees link, if that was the area in which you needed help. Your next step would be to input your group type, the gender of the team, and your zip code to find a group of national and local sponsors from which to choose. A list of ways to earn points would then appear, and supporters would pick and choose which activities they wanted to do to earn them. Some examples of the easy ways to earn points include rallying your friends on Facebook, following along on Instagram, uploading pictures or videos to social media, etc. Points earned would go towards financial backing for the team. Easy peasy, no obligation, and it's all free. I found two teams in my immediate area that are looking for sponsors. One has already already received enough money to meet their goal, the other is a group that has 13 days left to raise a $1,000 credit for their team t-shirts. They have raised $186 of that goal so far, with the help of 7 supporters. You can learn more about that PearUp sponsorship by clicking here. 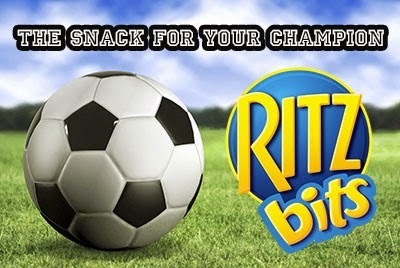 Ritz Bits is the PearUp.com sponsor champion, so what better way to help return the favor to them, than to offer up delicious Ritz Bits for the after practice/game team snack? You can learn more about PearUp.com and how easy it is to find a sponsor for your team by visiting their website. Soccer is a big deal in our home too. I love that they are sponsoring teams in this way. I really like this method of fund raising. The thought of sending my kids out door to door or even pestering family and friends always bothered me. I like that this matches up sponsors and groups easily and without hassle on either end! This sounds so much better than the door-to-door method, or just as bad, sending daddy to work to beg his co-workers for money. Such a fantastic idea!! I agree! This is much better than going around and basically begging people to help! That is an awesome way to fundraise. Way better than the snack shack at our soccer/baseball field. I have never watched a Soccer game in person. On TV yes! What a great way for a team to find a sponsor. This is a great way for a team to get a sponsor.Both my boys love soccer. I think this is a really great concept. It is a whole lot safer then having the kids "hit the pavement" or the parents hitting up their co-workers and/or neighbors. That's a great way to match up! I love that "bigger" brands can help out, too. Local franchise sponsors were how we made out tshirts. Definitely better than sending the poor kids out door to door! I wrote a post about Pearup.com also. I think this means of sponsorship is terrific. It's nice that brands like Ritz are giving back like this. Wonderful of them to do this. Great way to be apart of the community. I love the Pearup concept to help teams out. It beats selling chocolates that's for sure. That is such a great service. I will be passing this information along. Love how Pearup is helping teams get the funding they need. SO much better than the typical candy bar sales. 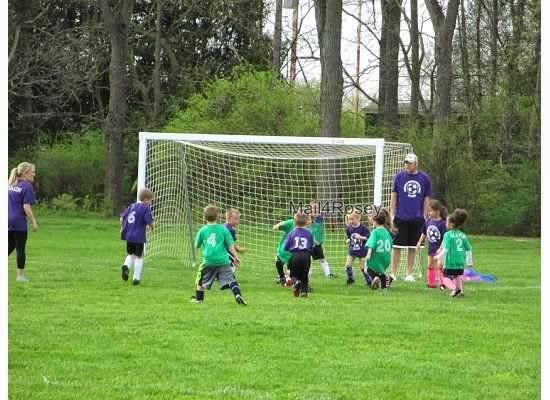 That does remind me that soccer season for the kids is starting up soon. Love this program and will look into it for our area. That's a great sponsorship! I love seeing a brand give back! My kids play on parochial teams but this is awesome. What a great way for sponsors to be found! I like soccer better than any other ball sport. That's great what Ritz Bits is doing. That's a really cool program, especially for smaller towns or communities that may not have the huge sponsors. I'll have to let my parent friends (who have kids in sports) know about this. We are not sport fans but my daughter IS A BIG Ritz Bitz fan but this program is really good. Love what they are doing. Great way to have a fundraiser, they should have more programs like this one. The world needs more moments like these - seriously. This is a really cool way of generating sponsorship. this is great for small communities and families who are financially challenged. That is way better than selling wrapping paper! I hate trying to raise funs for schools and activities- this would be way better! Ugh. I HATED doing that when I was a kid. I felt like an idiot going door to door asking if anyone wanted to buy candy or popcorn. I never played soccer but I just love it. Kiddo gets some weird stuff to sell to raise funds for. This sounds so much better because its something people know. Such a great program to match up teams and sponsors! Sharing! This is a great idea. There are a lot of kids teams out there that go the way of the dodo because they just don't have the funds. This is a great way to help keep these activities going. I've never heard of this program, but thanks for sharing as I'm going to look into this. What a wonderful way to keep the kids active instead of sitting on their butts! I've never heard of Pearup.com before. I'll have to check it out. we just added our team to pearup. Love that companies are giving back like this. My son played soccer throughout his childhood. Now that he is an adult . . . he still plays. Such cute pictures and a great idea! I hope these cause can meet their goals! Nothing like supporting youth sports. This is a great idea! Wish they helped out with school sports though too! Cute photos! Thanks for sharing, this sounds better than door to door! This is great, who knows what sports my son might play this year and what kind of sponsorships they might need. I love this. I hadn't heard of Pear.com before. I love that you can raise money without going to door to door. This is a great idea, and I will be glad when students don't have to sell door-to-door anymore. Thanks for sharing! Very cool! What a neat fund raising idea. PearUp is such a great idea! I know there are businesses out there that would love to sponsor a team, but the teams are too afraid to approach them. This is an awesome program. I love how they help them to find sponsors for the teams. Thanks for sharing. I think I have heard about this before but I am not certain. It think it is a great program. No kids on this end, let alone anyone who plays soccer. this is such a great idea to help nurture and support kids with their fav sports! I would love to get my girls into soccer but in the meantime I'm a dance mom! That's awesome that they sponsor your kids team!! What a great idea and easy way to link teams up with sponsorship opps. Soccer was huge in our home when my kids were growing up and I would have loved a program like this. I've never heard of this, what a great way to help sponsor and fund raise! On a side note, I love soccer. I was in it my whole life until later in high school, then I quit. I love when brands give back. It's such a nice feeling. What a wonderful concept! I love when brands try to help worthy causes! That is awesome. I know when we were trying to find sponsors for our daughter's softball team it was a joke. Very cool. This is a fantastic idea! My kids are all involved in team sports, and finding sponsorships can be a time consuming, frustrating experience. This is great. This is a GREAT concept and I wonder why it took so long to come into existence! This sort of thing should grow and develop into many other fields as well! That is such a cool concept. I'm going to show this to our Preacher who was wanting to start a baseball team this past summer for the city league but we couldn't afford it. soccer really looks fun! i hope my son will learn how to play it + love it! That's a great fundraiser idea! I know a group that may be interested in this. Beats door to door candy sales for the tikes! Graham is starting soccer camp next week! I can't wait to see if he really enjoys it. Sounds like such a great resource. I will definitely look into it. I have dealt with fundraisers before for many reason, never sports though. But I can definitely see how this would be a great benefit. Going door to door is crazy. 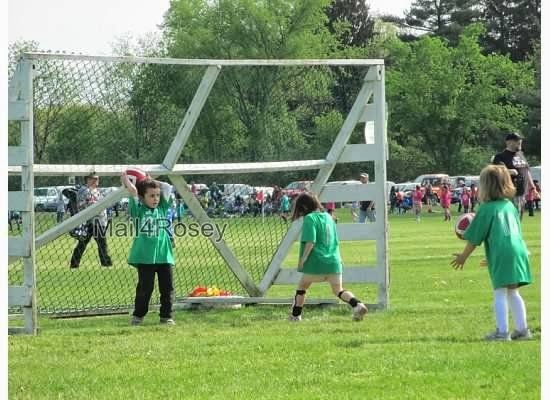 My kids love to play soccer with their friends. I never heard of Pearup. I'll have to keep this in mind. I really love that Ritz Bits is doing this. Like you said, the benefits of soccer are many! We have Ritz here but soccer is not a well played sports in our country. I hope companies like this will sponsor any kind of sports here in our country. Great program! I love to see companies trying to make a difference. I had no idea they did this - love it. We always have Ritz Bitz on hand, they are such a quick and easy thing to pack and take on the go for the boys. This is a really great program. I had no idea there was something like this available. That is such a cool program! I'll have to share this with my family!